After spending almost a year in a cell for killing her benefactor General Brazell’s son, Yelena is walking towards what she thinks is her death, when she is offered a devil’s bargain – to become Commander Ambrose’s (Ixia’s new ruler) food taster. Despite the occupational hazard, Yelena accepts, and begins her training in learning the intricacies of poisons under Valek, the head of the Commander’s intelligence network. But her past comes back to haunt her in the form of Brazell, who wants revenge, and a master magician named Irys who discovers that Yelena has magic and warns her to control it. Brazell is also plotting against the King with Mogkan, another magician, and they gradually take control of the Commander’s mind, with the ultimate goal of taking over Ixia. Once he’s completely in their thrall, they compel him to travel to Brazell’s land, bringing Yelena along, while ordering Valek to stay behind. But Valek obviously follows, and once he’s discovered, both he and Yelena are thrown in the dungeons. Irys slips into Yelena’s mind and tells her how to destroy Mogkan’s source of power. Yelena and Valek escape the dungeons and free the orphans whom Mogkan was using for power, and then defeat Brazell and Mogkan with Irys’s help. Everyone thinks the Commander is beyond help, but Yelena uses her magic to help him recover, while at the same time uncovering a his deepest secret. Once the Commander recovers, he banishes Yelena from Ixia, never to set foot in his territory again. Although he’s grateful to her, magic is banned from Ixia and punishable by death. Add to that the fact that Yelena knows his secret, her fate is sealed. She sets off to Sitia with Irys, who has taken the kidnapped orphans under her care, and vows to reunite them with their families. For the last year, Yelena has been in a cell for murdering her benefactor’s (General Brazell) son, Reyad. Just when she thinks she’s going to her death, she’s called to meet Valek, the Commander’s head of intelligence, who offers her a deal – hang to death, or become the Commander’s new food taster (the last one died from poisoning). Yelena accepts the offer and begins training in toxicology. But then, when Brazell arrives at court, he sets out to avenge his son, and sends his soldiers after Yelena, who evades them. She recalls how Reyad had tortured her cruelly, trying to draw her into performing magic, which she is convinced she cannot. Magic, fyi, has been forbidden in Ixia ever since the military came to power. Brazell sends a gift to the Commander, a sweet that quickly becomes his favourite. During the fire festival, Yelena is ambushed by Southerners who attempt to murder her, but is rescued by Valek. Later, she comes across one of them, a woman, who warns her that she’s using unknowingly using magic, and drawing too much power, throwing off the balance of the world. The Generals arrive at court for a meeting, where Brazell announces the completion of a factory for producing his now famous sweet, Criollo. His partner, Mogkan, attempts to kill Yelena, but Valek steps in again. Strangely, the Commander is unconcerned about Brazell’s treachery. A Sitian delegation arrives at court, with the woman who attacked Yelena as their ambassador. Irys gifts the Commander the Sitians’ finest cognac to drink, and Yelena, upon tasting it, figures out its poisoned, just before collapsing. 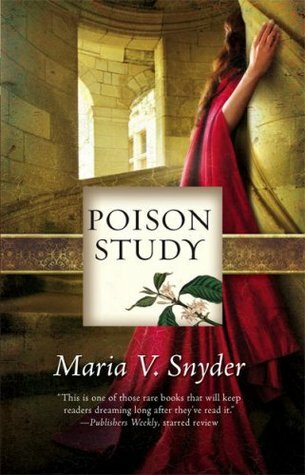 They discover that the poison was meant for Yelena, by General Brazell. Irys offers to take Yelena with her when she leaves, and train her to use her magic. Brazell invites the Commander to inspect his factory. Valek alone is ordered to stay back, while the Commander and Yelena, with a guard, travel to Brazell’s land. On the way, it becomes obvious that he Commander’s mental faculties have been compromised. Once at Brazell’s manor house, Yelena escapes and meets Irys, who explains that the Criollo has softened the Commander’s mind, bringing him under Mogkan’s control. She is convinced that Mogkan is using extra power, and urges Yelena to find and destroy the source. Valek, having stealthily followed the entourage, reveals himself, and they search for the source of magic. But before they can find it, they are captured by Brazell’s soldiers and thrown in the dungeons, from whence they soon escape. They find out that Mogkan has been sapping the energy from the orphans’ under Brazell’s roof. Yelena breaks the connection with her magic, and together with Yalek, Irys and their friends, they manage to kill Brazell and Mogkan, and capture their soldiers. Although Mogkan’s influence over the Commander’s mind has lifted, he is still in a weakened state, and they fear too far gone to ever recover. Yelena attempts to enter his mind and guide him to reality. She succeeds, and in the process discovers the Commander’s greatest secret. Once the Commander recovers, he is thankful to Yelena for her help, but recognises the threat she poses to his position, both due to her power, as well as her knowledge of his secret. He banishes her from Ixia. Yelena travels with Irys to Sitia. They take Mogkan’s orphans with them, as they are in truth Sitian children who’d been kidnapped from their families for their magic, and set out to reunite them with their families. Ixia: A territory that was only a generation ago taken over by the military, and is now divided into eight military districts, each governed by a general. Magic is forbidden in Ixia, and all magicians put to death. Sitia: Territory south of Ixia, where there is magic abound.